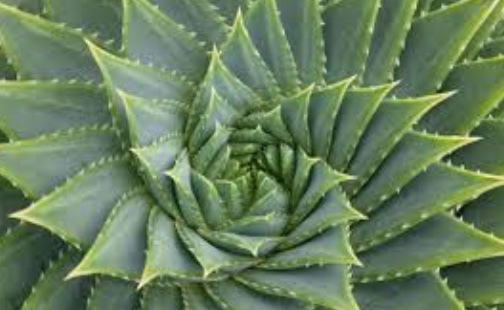 Ecocertified 100% organic, Aloe Vera grows wild in tropical climates around the world and can be traced to Egypt 6,000 years ago, where it was known as the “plant of immortality”. Depicted on stone carvings, it was presented as a burial gift to deceased pharaohs. Historically it has been used as a topical ointment to heal wounds and various skin conditions, skin burns, abrasions, eczema, psoriasis and even osteoarthritis. Aloe Vera is brim-full of antioxidants called polyphenols, which are strongly antibacterial to fight off any harmful bacteria as well as any damaging free radicals. Research indicates great support for your immune system, plus a soothing quality for skin healing. It provides added protection from UV and Gamma radiation and has an anti-inflammatory effect to assist in slowing any inflammatory reactions in your body, which of course lead to many diseases including acne and eczema. By stimulating fibroblasts and producing more collagen & elastin fibres, aloe vera effectively increases skin elasticity, significantly accelerates skin regeneration and reduces fine lines & wrinkles. Essentially, Aloe Vera hydrates, moisturises and rejuvenates the skin, making it more flexible through collagen and elastin repair. Historically, the clear gel obtained from the leaves was often used as a topical ointment to heal wounds and for various skin conditions, as well as orally as a laxative. It has often been reported that burns can be healed remarkably quickly and the pain reduced very quickly with topical application of Aloe Vera to the burn area. This especially applies to sunburn. 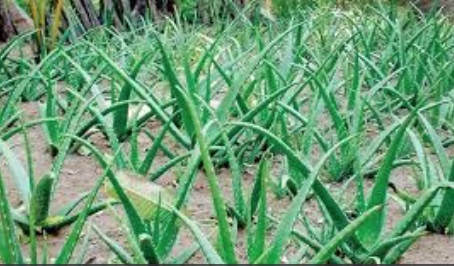 Aloe Vera is well known for its polysaccharides, being important biomolecules for formulators. Lysine, playing an important role in the production of carnitine (a non-essential amino acid) and in the formation of collagen. 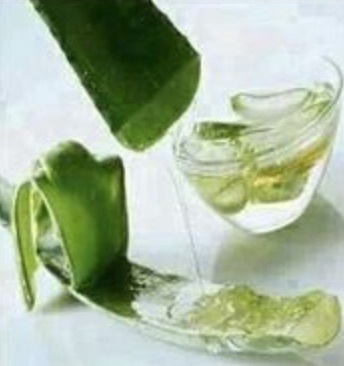 Aloe Vera also contains 8 essential glyco-nutrients, including Fucose, which has anti-inflammatory & immunity activity. It also improves skin hydration & liver function, aiding in lowering elevated glucose levels. The others include Mannose, Rhamnose, Arabinose, Xylose, Galactose and Glucose. It is also an antipruritic - a substance that relieves or prevents your skin itching. Plus, it hydrates, moisturises and rejuvenates the skin, increasing the elasticity of the skin and making it more flexible through collagen and elastin repair. Gluco-mannan plays a crucial role in the healing process of damaged skin cells. Together with gibberellin (a growth hormone found in Aloe Vera) it interacts with fibroblast growth factor receptors, stimulating the activity and proliferation of these cells and naturally boosting collagen synthesis, as well as changing collagen composition (more type III) and increasing the degree of collagen cross-linking. Increased synthesis of hyaluronic acid and dermatan sulfate has also been documented.